We are now 100% funded on Kickstarter! ZWEIHÄNDER fans! We are 100% funded on Kickstarter in under six short hours. Wow! We’re standing shoulder to shoulder with some of the most recognized game brands on Kickstarter. 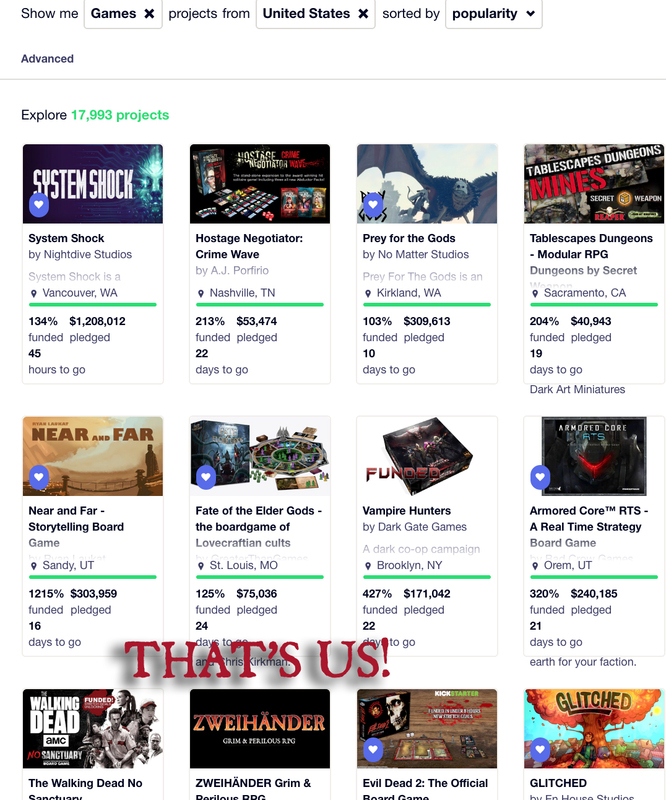 We are currently the 10th most popular Game in the United States on Kickstarter! Check it out: In celebration, we’re going to give our backers a special treat this evening – an exclusive early look at Chapter 2: How To Play. We’ve also opened up a new option for all Tiers: Add-Ons. As mentioned in our previous post, you can now buy additional Print Editions with your order. Head over here to find out more about this option. Our next goal is to reach $11k. This will give us all the ammunition we need to build a truly robust book you’ll be proud to display on your shelves. Thanks to everyone for helped get us this far. We couldn’t have done it without you! We’ll see you later tonight!